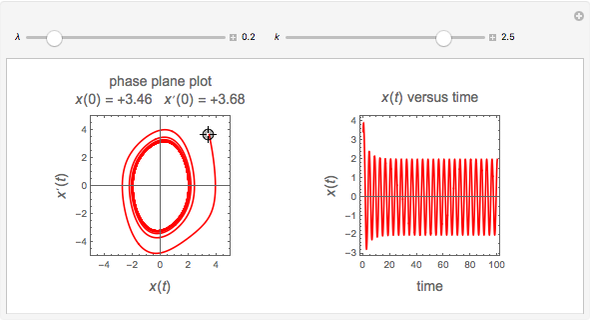 This shows the phase plane plot ( versus ) of the van der Pol nonlinear differential equation . 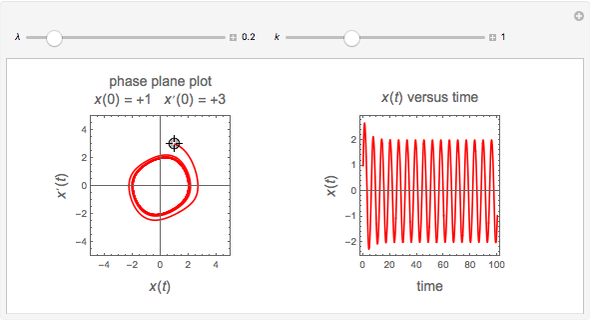 Click the phase plane plot to set the initial conditions for and . The solution always ends up in a limit cycle. 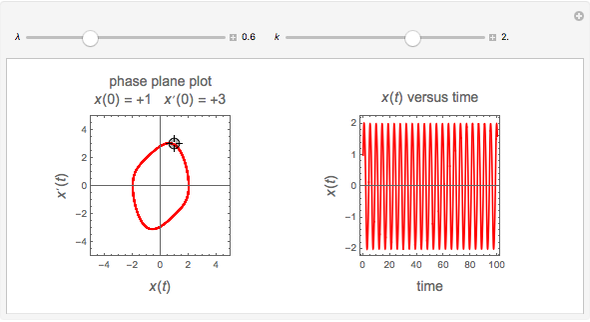 Nasser M. Abbasi "Phase Plane Plot of the Van der Pol Differential Equation"